https://blog.flickr.net/en/2018/11/01/changing-flickr-free-accounts-1000-photos/?utm_campaign=flickr-lookingahead&utm_source=Flickr&utm_medium=email&utm_content=1000photos Flickr are changing their free tier to limit it to 1000 images. Their reasoning is 100% fair but this may leave some of us in a pickle, I am affected with 1474 images, 474 of which will go away if I don't upgrade. Pricing is reasonable, at least this year, if you are affected and want to upgrade so it's not like the blackmail situation of Photobucket. Just a sort of heads up for anyone else that will be affected, and don't be surprised if some images start going away in Jan next year. Do you remember what the security message was saying? We appear to be using Lets Encrypt for our SSL and they only have a 3 month life, a new one was issued yesterday so could have been related to that. Looking at that photo of the shoulder strap it looks like the male half has come off and is still in the female half sewn to the white elastic. For the holster remove the failed rivet then use a longer one but back it up with a washer to stop it pulling through again. Alternatively you can rivet on a snap, I did this for mine. There’s a post towards the end of my build thread in my signature. This post if from 2010. A lot has changed in the image hosting landscape since then. There are more recent tutorials about that I am sure someone will be able to point you to. If I remember tomorrow I’ll try to go to the original and get heavy handed with some sliders and see if that reveals some more detail in the shadows. Looking at the version on Flickr it might be an S trim but that’s entirely based on detail in the shadows on the right side. I’ve not tweaked mine in a long time whilst trooping. As with others I figured out how loud I can get it before it feeds back and then marked that in the dial. All I do each troop it just dial it to that line and call it done. In general that's just an assembly difference. The face plate is pulled separately from the cap and back. Depending on how the brow was trimmed and bolted up (and how rushed the build was) you get a number of different looks. This is further exacerbated by the fact the left image is a hero helmet and the right a (sandtrooper) stunt and one well know for a large gap. The hero face plates are different, but I've heard multiple explanations as to why. As for which is right? All of them. If you're building a hero you'll want no gap, a "move along" sand trooper, a big and lopsided one. Generic TK? probably somewhere in the middle but really it's up to you. Wired or wireless for this set up? Most people I know who've used wireless, me included, have ended up back using a wired connection again. Admittedly not using iComm as that's not very common here but using a number of different options. themaninthesuitcase replied to Strmtrooper816's topic in Getting Started - Read this First! Welcome to the FISD, you are indeed in the correct place. Personally I wouldn't purchase from that seller. There's a fair options available to you depending on budget and needs. Your best off reading through these two threads and then if you have any futher question you can ask them and be more specific. Right then time for some change requests on the nice new CRL! These are what I've been fed from the armourer team in my Garrison. 2nd Blaster needs changing to the pistol Cape has only one strap, currently says 2. Quick Silver Baton description is wrong - no circles, they are all rounded slots. 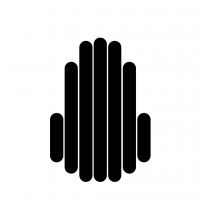 "The Baton has a cut out sections centered 1/3rd from each end that is comprise of a three Rounded Slots which match the onscreen reference." Undersuit is not shiny for the "shorts", it should have leather or pleather type satin material. Oh and Davids ID is 19666 not 16714! Really looking forwards to seeing this progress. You look to be doing really well so far! The tube stripes on mine were removed using Humbrol enamel thinners. They pretty much just wiped off! Hi Theo, Welcome to the FISD. 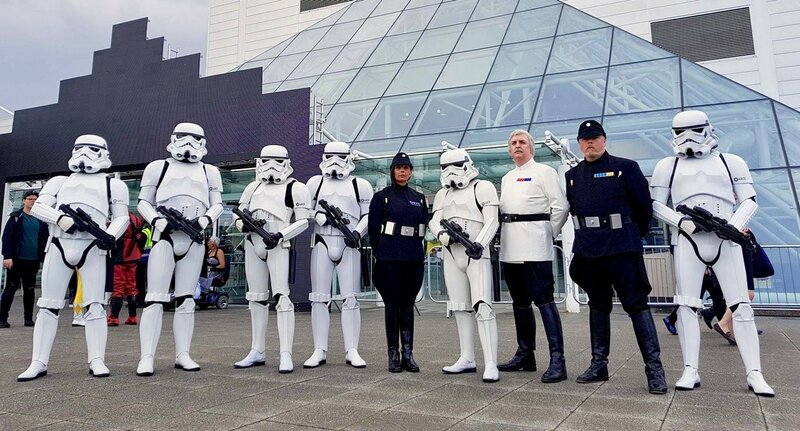 If you're in the UK make sure to check out the UK Garrison (http://www.ukgarrison.co.uk/join-us/). There are a lot of folk there that will be more than happy to help and guide you on your journey. Chris. Welcome to the FISD John. Welcome to the FISD, once you get going the team over at the UKG will help you out and get you trooping. Just a quick tip though: once trooping no pointing the blaster at peoples heads. Yeah that's on the wrong side. The holster for ANH sits on your left hip. Several of the makers in the list will do black armour on request. As you’re in Holland try the UK makers first. RWA does black, not sure about TM. RS probably don’t. Whilst it may seem excessive they aren't expensive and have proven to be handy to have on a few occasions. If you're not using it all the time a cheap one from HF or ebay will be more than fine. Looks like a Rubies blaster painted black. Other than the accuracy issues it will also be a bit small. Some garrisons may accept this for basic, some won't. Check with your GML if you're not sure. For the part the film used armour had very little return if any on most edges. The notable exception being where they used the wire brackets to join the body sections. On my armour I've reduced most of my returns to about 3mm ish or less. The bigger returns reduce the amount of flex you can have in the armour and so tend to lead to cracks forming. I also just run mine full power. The two fans are individually switched and normally one is plenty and means the battery lasts all day but occasionally I will run both. Nice “shed” [emoji23] First step though, take that heat gun and put it away. It’s far too harsh for the ABS kit and all it will do is ruin what ever you point it at. As for the fitting, get everything rough trimmed then before fitting get your under suit and boots. They do make a surprising difference to the end fit. Once you have that all sorted it’s much easier to make valid sizing decisions.